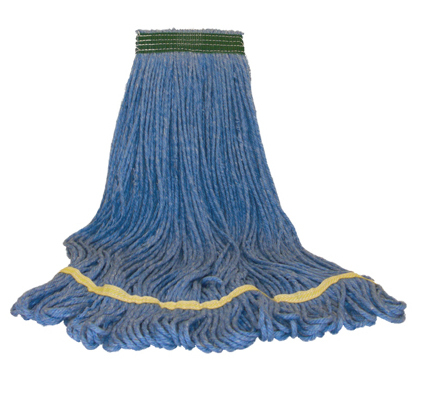 Our Antimicrobial Looped End wet mop fights to stay clean. With built in protection that inhibits the growth of bacteria, fungi, molds and mildew, this mop is perfect for any use, especially in health care facilities and the food service industry. Made from 4-ply synthetic blend yarn. Looped ends resist tangles and frays. Antimicrobial protection remains active after repeated use and laundering. Durable vinyl-coated polyester mesh center band available in wide or narrow. Yellow fantail.